Who says international designer labels are the only choice you have to create that beautiful #ootd? 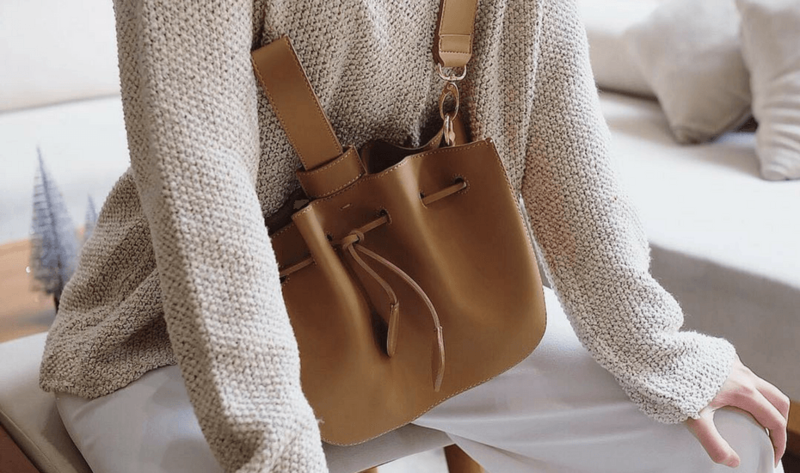 We’ve covered local Indonesian designers from jewellery lines to shoe labels, and this time we’re putting together a shopping list of our favourite local brands selling stylish handbags. Whether you’re looking for an everyday bag for work, a clutch for your evening look, or a quirky piece of art that you can wear with confidence, we’ve got you covered. 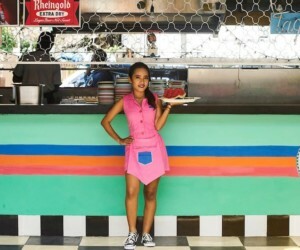 If you’re all for a quirky and colourful look, familiarise yourself with Byo. Founded by Tommy Ambiyo Tedji, this local accessory line is famous for their popular PVC clutches that have an interwoven and geometrical design. Boring is just not in Byo’s vocabulary – just take a look at their website and you’ll see why. Bold colours paired with futuristic designs and one-of-a-kind materials like gloss PVC, matte latex, and hand-cut fur, make for a fun, head-turning accessory to accent your outfit, day or night. Byo. Available at Galeries Lafayette, The Goods Dept, Central Grand Indonesia, and Museum Macan. Follow @b_y_o_ on Instagram. Get your fix of leather handbags at Aesthetic Pleasure, which takes pleasure in creating leather goods for the edgier side of you. 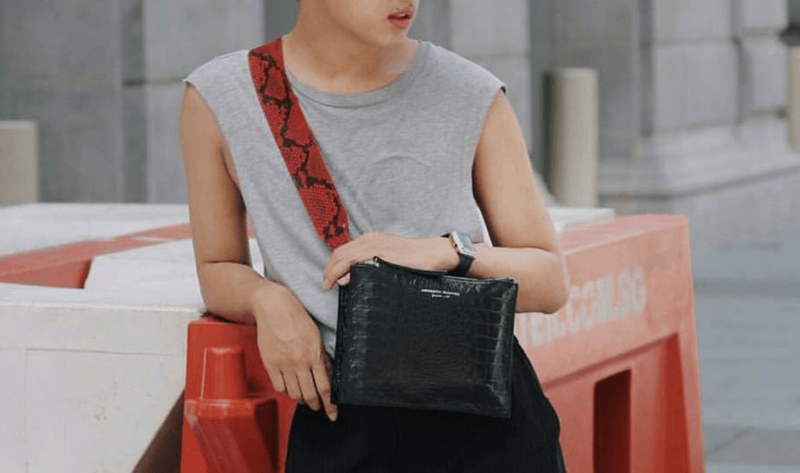 Their collection of messenger bags is dominated by shades of black, and while simple in design, still manage to stand out from the crowd with their use of crocodile embossed leather. Aesthetic Pleasure’s Still Croc Embossed bag is our pick of choice, and though it may not fit too many things due to its thin silhouette, this signature postman bag combines just the right portion of masculinity and femininity for chic tomboys. If you’re more into a classic feminine look, go for their Isolation Leather Bag, which, in contrast to the first, can fit almost anything you wish to bring with you. Aesthetic Pleasure. Available at The Goods Dept and Art & Science. Follow @aestheticpleasure_ on Instagram. SRW, which stands for the name of the Bandung-based brand’s designer, Syagini Ratna Wulan, is well-known for their cute “Fur Ball” bags. We’re not talking about real fur here, as their rendition of “fur” is made of colourful leather that resembles fish scales. 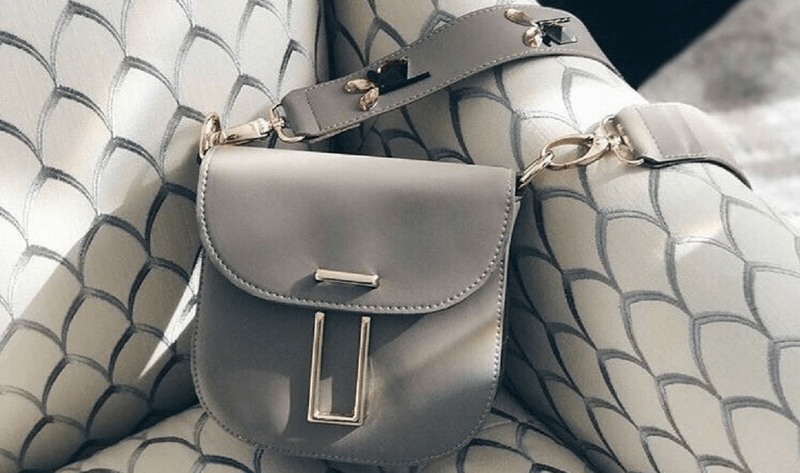 The brand quickly became a hit thanks to this particular item’s unique shape and signature scaly patterns, which you can also find in their other bags of different shapes and types. And that’s not the only thing we love about SRW though. This accessory brand also sells fun bag straps, with various wordings like zodiacs and catchy phrases like “Let’s Get Lost” and “Keep Slaying” that add statements to any of your bags. SRW. Available at The Goods Dept. Follow @s.rw on Instagram. 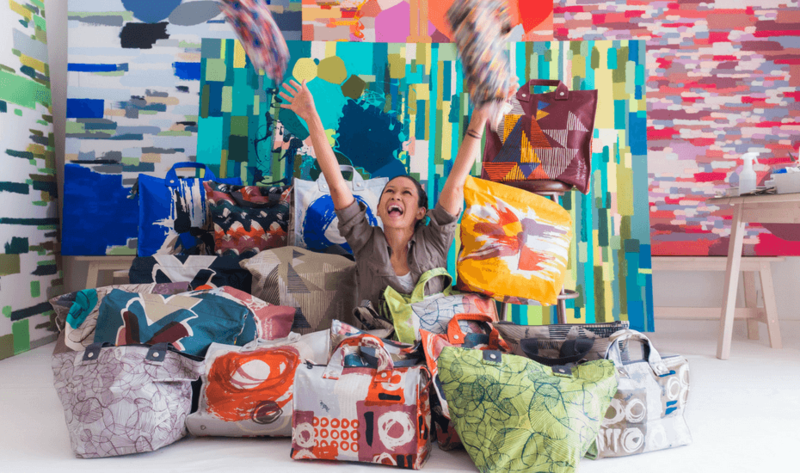 Art lovers will love Tulisan for their heirloom-quality accessories. Helmed by founder and chief doodler Melissa Sunjaya, Tulisan conveys colourful storytelling through hand-drawn illustrations that are inspired by the historical significance of Indonesia. The prints are produced on cotton canvas handbags made in small batches, making each of their collections a limited edition and hence so special. 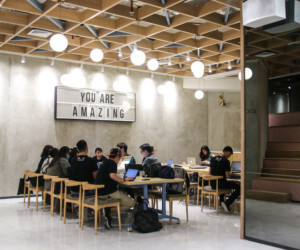 Another plus point is their bags are also environmentally friendly, using eco-friendly materials with a zero-waste concept. Tulisan. 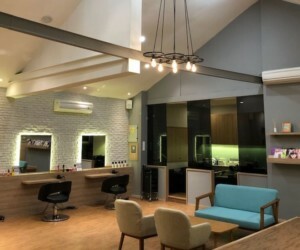 Darmawangsa Square, The City Walk, Ground Floor, Unit 24, Jl. Darmawangsa VI, South Jakarta. 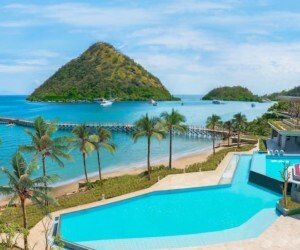 p. +62 21 7278 0235. Tulisan. Multiple locations, check website for details. Follow @mytulisan on Instagram. Using Indonesia’s iconic art of hand weaving, Chameo Couture celebrates our local techniques through their signature handcrafted bags. From tote bags and bucket bags to sling bags, clutches, and backpacks, their items combine the use of eco synthetic rattan with Italian grade genuine premium calf leather. Most of their handbags use monochromatic or classic neutral colours while some feature Batik-patterned fabrics, adding a traditional touch that is rich of our cultural heritage to their modern design. And thanks to their innovative accessory line, Chameo Couture has been acknowledged internationally and was even selected as the first ever brand to represent Indonesia in the prestigious Pret A Porter Paris and Premiere Classe. Chameo Couture. Available at Alun-Alun Indonesia, The Goods Dept, Sogo, and Galeries Lafayette. Follow @chameocouture on Instagram. When Kim x Lim first came out with their Fur Clutch, we fell in love in an instant. The furry accessory, adorned with oversized sunglasses, comes in black, brown, grey, purple and even fuchsia. If their Sly Mike clutch is more futuristic with its silver, structured sunnies, their Lennon clutch is a lot cuter with its round, black shades. For a more classic choice, check out Kim x Lim’s Shuma drawstring bag that has quickly become a best-seller. This versatile bag can be personalised with your initials and carried by the top handle as a purse or worn as a sling bag over the shoulder. Kim x Lim. Follow @kimxlim.id on Instagram. Don’t expect cute, “beautiful” bags here. Using the concept that ugly is also the form of beauty, Ugly Bags takes pride in their one-of-a-kind design that doesn’t follow the regular norm of beauty. Expect weird yet artsy and whimsical designs that resemble body parts like an eyeball, skeleton, and a hand. With a flap that resembles a palm, the last one has become the brand’s signature design for both tote bags and shoulder bags, available in monochromatic and neon colours with quirky interchangeable straps. Ugly Bags. Available at The Goods Dept and Museum Macan. Follow @ugly_ism on Instagram. If you love handcrafted beadwork and intricate detailing, you’ll definitely love Josvli. With a design that is both classic and timeless, their signature mini bags that come in smooth or crocodile embossed leather are perfect for your everyday needs. While their designs are all about simplicity, they still catch attention with their beautiful sling straps. Among their various strap designs, the highlight has to be their beautiful beadwork straps, which give the pouch an extra kick of personality with their feminine ornaments. Josvli. Available at Dresshaus Gallery in Kebayoran Baru and Love and Flair in Plaza Indonesia. Follow @josvli on Instagram. Inspired by clean Scandinavian design, Doxology values simplicity and functionality. There’s no bold colours or quirky ornaments here, as the brand sticks to the concept of minimalism. If you’re looking for a simple everyday bag, Doxology’s signature Doxogami handheld bag is perfect for you. 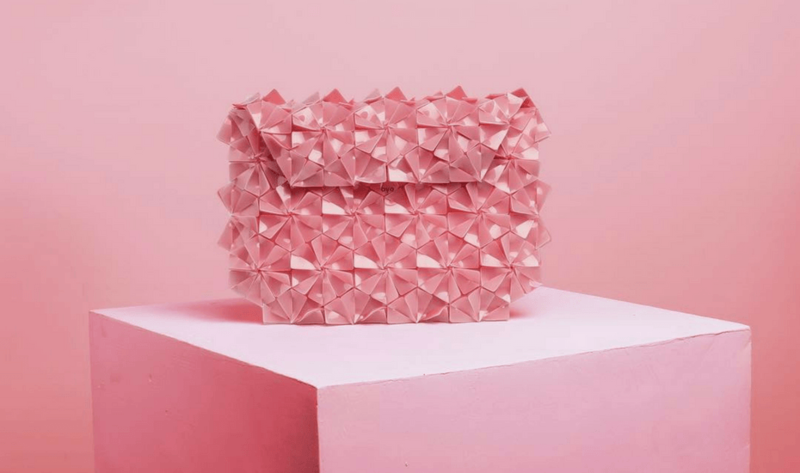 Following the design concept of an origami, this bag can be disassembled and folded just like the Japanese paper art, and whenever you’re ready to wear it, you can reassemble the bag and even wear it as a sling bag. Meanwhile, their other signature, the Doxokimi tote bag, follows a more formal look, using a flap that gives a new dimension to the bag that can be converted into a messenger bag. Doxology. Available at The Goods Dept. Follow @doxologygoods on Instagram. There’s no wonder why Mnologie is loved by everyone, including famous fashion bloggers with the likes of Nicole Warne, Margaret Zhang and supermodel Irina Shayk. Made using perspex or acrylic glass, the handmade clutches made by this Bali-based brand might look simple but they actually feature a high level of craftsmanship. 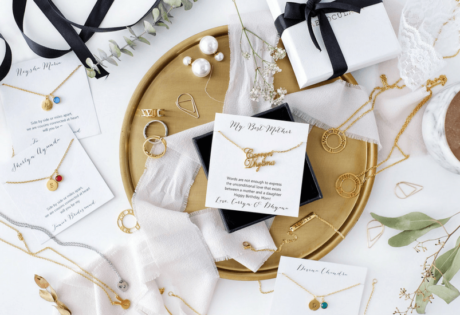 Each of their items are adorned with 24K gold-plated clasps that are hand-monogrammed, and the making of that alone actually requires years of training. 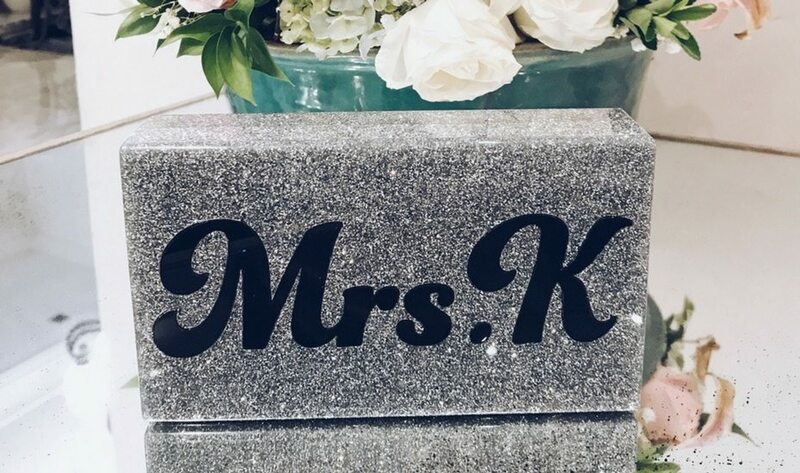 They are most popular for their geometrical patterns and of course their signature Bespoke Clutch that you can personalise with gold glitter letters. If you’re not into rectangular shapes, they also have a mini ball clutch that pairs perfectly with any of your party outfits. Mnologie. Available at Farah Khan Boutique in Plaza Indonesia. Follow @mnologie on Instagram.